If you would like to setup SSL certificate for your website, here are some steps that may help. 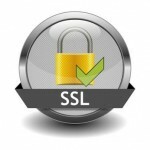 Before you start the setup process, you have to buy and get a SSL certificate first. Some common certificate authorities like VeriSign, Comodo Group, GoDaddy, GlobalSign, etc, which have to be paid for a cert, and also StartSSL, which have both free and paid plans.